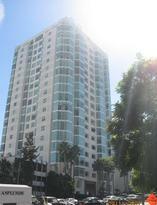 La Tour 10380 Wilshire Blvd is a high rise condominium along the South side of the Wilshire Corridor that has 73 Units. It is distinguished by the large modern green glass paned windows seen from the street. La Tour 10380 Wilshire Blvd was built in 1991.The units have large windows, high ceilings allowing a lot of light with spacious open floor plans. The building has a luxurious lobby entry where you pull in your car to be greeted by a valet. There concierge desk, pool, deck library, and sauna. It is close to Beverly Hills on the Eastern end of the Wilshire Corridor.. La Tour also offers 3+ bedrooms for those looking for larger condominium units. Many of the condominiums being redone in this building feel like a home, large and spacious. Truly a luxury building the newest units are some of Los Angeles most luxurious condominiums. Walk a few blocks to Holmby Park, or walk to Beverly Hills. They average over 1 million dollars and have HOA over $1000.00 monthly. Condominiums on the Wilshire corridor are for sale or for lease.View my video to learn more about this building and many others along the Wilshire Corridor.